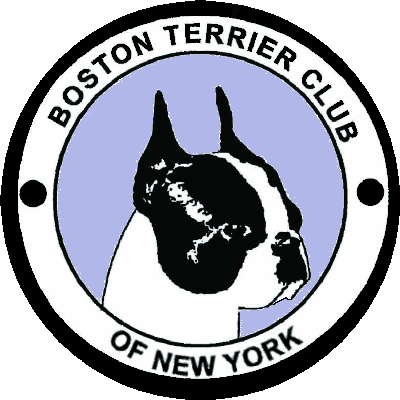 At present, the Boston Terrier Club of New York is pleased to award to Best of Breed winners at our shows The President’s Trophy, offered by Mr. & Mrs. Carl E. Gomes, through the Boston Terrier Club of New York for competition at its Specialty Show. This trophy is for permanent possession when won 3 times by the same owner(s), not necessarily with the same dog nor at consecutive shows. This trophy was first awarded in 2018. 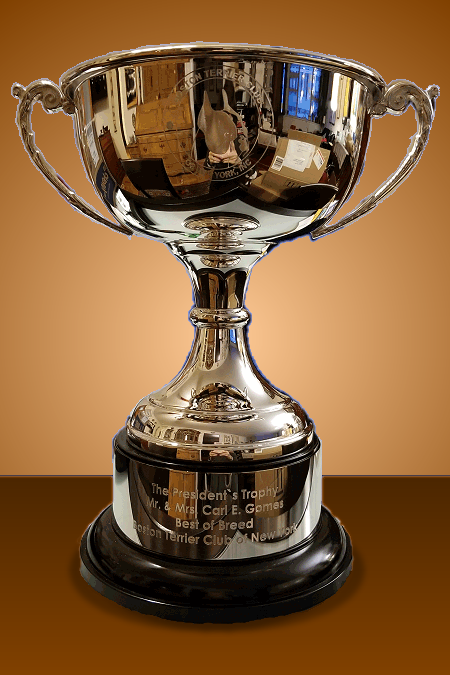 Our club has a legacy of offering and retiring challenge trophies, and it will be exciting to see who the lucky winner of this beautiful piece of BTCNY history will be!